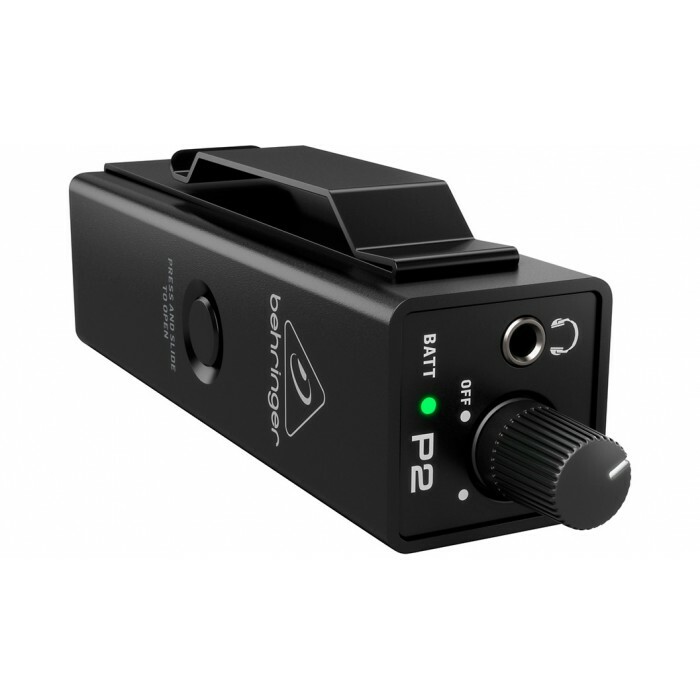 Whether you're a keyboardist, drummer, or other musician whose performance keeps them anchored in one spot, the P2 Ultra-Compact Personal In-Ear Monitor Amplifier was designed specifically for you. A convenient hard-wired personal in-ear control center, the P2's belt pack puts monitor control right at your fingertips, plus it's powerful, lightweight and ultra-easy to use. You can use your favorite headphones, earbuds or custom-molded professional InEar Monitors (IEMs) with the P2, thanks to the top-mounted, standard 3.5 mm (1/8") stereo output jack. P2's internal Mono/Stereo switch lets you choose the mode that best fits your needs. When using your mixer’s aux send or any other mono source, move the switch to the Mono position. For connecting to a headphone output or other stereo source, simply.